Carson Beebe will take a huge step in his pro career when he takes on the undefeated Joe Murphy Friday night at World Series of Fighting 3 in Las Vegas. Beebe signed a four-fight deal with the organization earlier this year. Beebe (13-2) is coming off a rare loss, having dropped a decision to Rolando Velasco at Tachi Palace Fights last November. He started his pro career with a six-fight win streak before suffering his first defeat. He shook that off to rattle off seven more straight wins before the setback in November. Beebe was also one of 32 fighters selected for the cast for the UFC’s “The Ultimate Fighter: Bisping vs. Miller” back in 2011. Beebe accomplished all of this by age 24. Now he’ll fight Murphy on the preliminary card of WSOF 3, with the main card airing nationally on the NBC Sports Network. “Murphy is a tough guy, I’m sure. He is undefeated, but he won’t be the first undefeated guy I beat, God willing,” Beebe said. Murphy may be undefeated at 7-0, but the combined records of his last four opponents is just 28-38 and only one of those fighters had a winning record. Murphy will have to deal with a long layoff between fights. He was supposed to battle Brian Davidson last August at Titan FC 24, but that bout was canceled. His last appearance came in April, 2012, when he submitted Tyler Weathers at Fight Club OC. Beebe has fought four times since Murphy’s last bout. Still, Murphy is a BJJ specialist and Beebe has suffered two defeats via submission. UFC fighter Johnny Bedford used a neck crank to eliminate Beebe from “The Ultimate Fighter” in the entry round of the show, and Giovanni Moljo of Team Top Notch was able to make Beebe tap from a triangle choke at Chicago Cagefighting Championship in 2011. Having signed a multi-fight deal with WSOF, it’s possible that in the near future Beebe could find himself in the cage against a face that is very familiar to fight fans, especially those in the Chicago area: Miguel Torres. 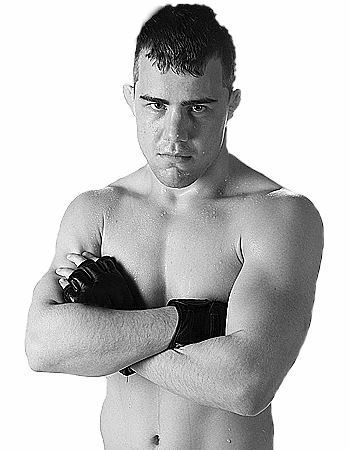 Torres took the WEC bantamweight title from Beebe’s older brother Chase at WEC 32 (photo), and Carson would love a matchup against Torres in the WSOF. Jen Wenk, publicist for the Blackzilians, confirmed that Torres also signed a multi-fight contract with WSOF, so it’s a fight that could happen in the future, one that would be a lot of fun for Chicago fight fans. We should point out that Beebe is in no way looking past Murphy, and that we brought up the possibility of a Torres fight to him. He knows he’s coming off a loss and making his debut for the biggest organization he’s ever fought for, a debut that could be seen on TVs across the country. He’s solely focused on Joe Murphy and starting another win streak. Beebe vs. Murphy could be seen on the NBC Sports Network depending on time considerations. Beebe’s fight, as well as the rest of the preliminary card, can be seen live and free on MMAjunkie.com, beginning at 7:30pm CT.